December is just right around the corner so you know what that means…CHRISTMAS!!! I will be honest and say its been Christmas in the Schmaderer household since November 1st, but I just like to have life as jolly as it can be! Its basically Christmas, Thanksgiving, then Christmas around here ;). Although I am the biggest planner there ever was, I always space on Christmas cards. By the time I think of creating and ordering them, it is just too late! 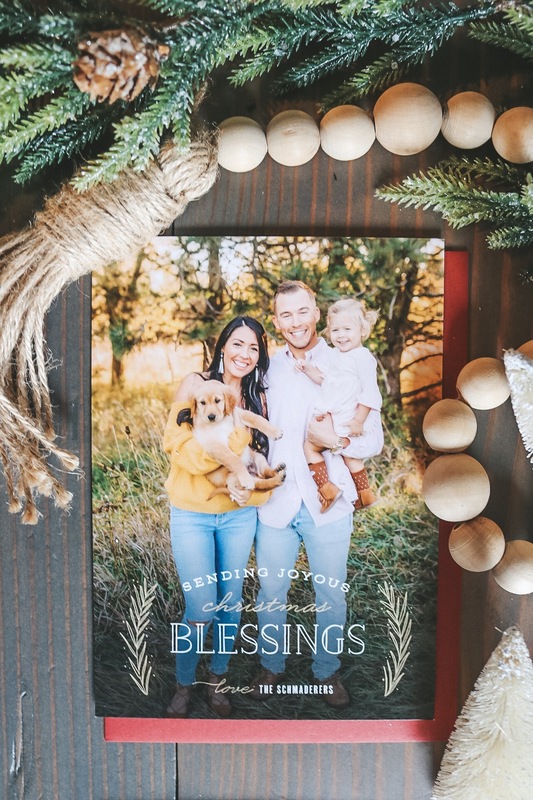 Thankfully, our Christmas cards by Basic Invite are here and I am totally stoked to finally have these babies in the mail and up on some fridges! Look at my babiiiiies! Our family pictures this year are happening later than usual so I had to put last year’s photos on my Christmas cards. To be honest, these pictures are my absolute favorite. I really don’t know how we will top off these ones…Bernard isn’t a cute little puppy anymore! He’s still cute 😉 just not as small and fluffy! Noelia looks so much like her Daddy in these photos and I just look like the odd one out! I wonder if people think I dye my hair or if I am really her Mom..ha! Choosing which design I was going to do for these cards took me a bit because there were SO many good options!! 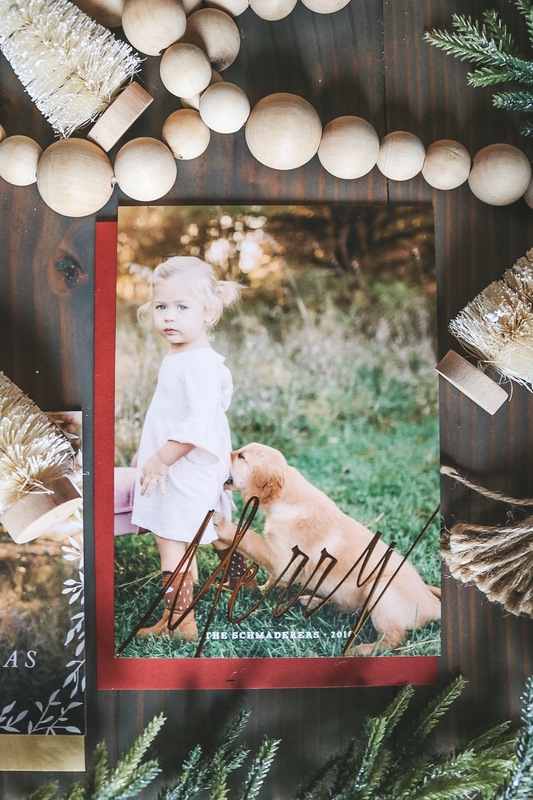 Basic Invite has over 500 Christmas card and holiday card designs. Basic Invite is one of the few websites that allows customers almost unlimited color options with instant previews online. 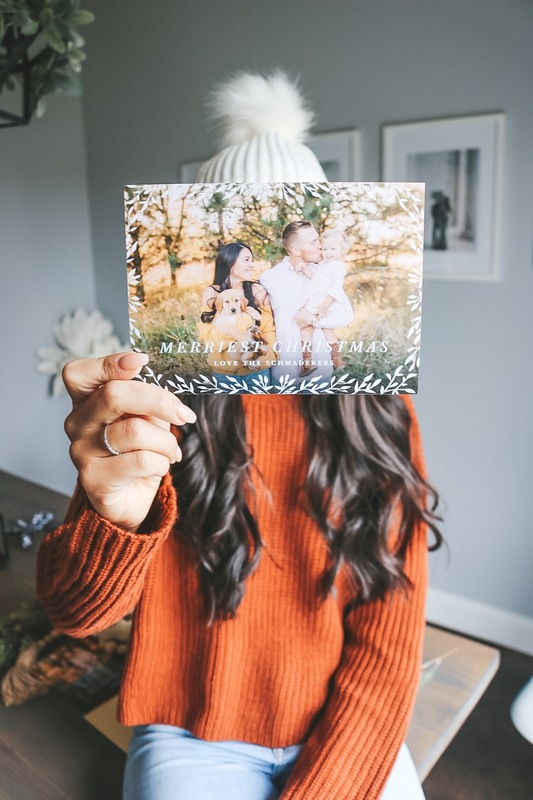 Once you select a design you can change the color of each element on the card to over 180 different color options so you can make sure the card is exactly how you want it down to the littlest detail. What I love most about Basic Invite is the fact that you can order samples of your creation before committing to buy them in bulk! Being able to see and feel what I was ordering was awesome! I call this photo the “Coppertone Photo”. Aren’t these two just too much?! Here is an example of a foil card. 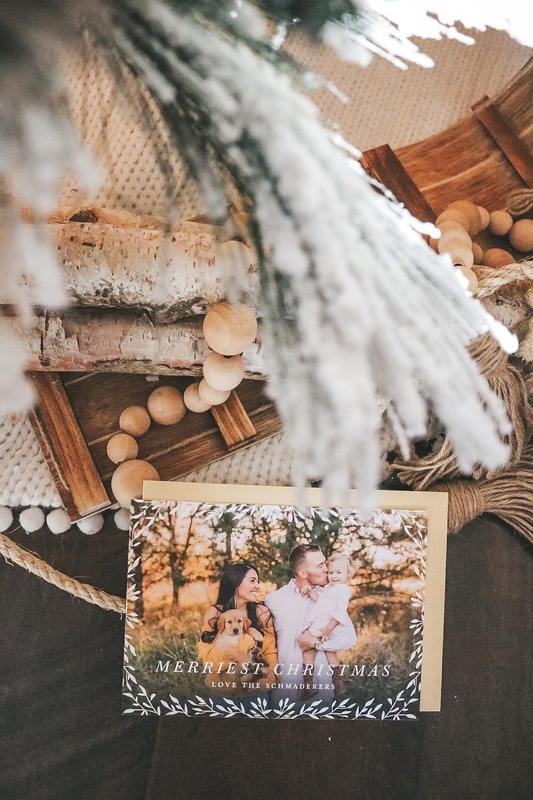 Foil holiday cards are available in gold, silver, and rose gold. Customers can choose flat or raised foil on all of Basic Invite’s foil designs. Pictured is raised foil in gold. To see more of their foil options, head HERE. I was also able to choose from and order from over 40 different colors of envelopes! All of their envelopes are peel and seal. You won’t have to lick a single one! If you’re like me, you keep those Holiday cards on your fridge until dang near Easter ;). I just love seeing all those cute families in my life all on display. There is so much joy in Christmas time that I just want it to stick around for as long as possible. I will be so glad knowing our family Christmas card will be top notch on those fridges thanks to Basic Invite! This sponsored post was written in its entirety by me and all opinions are 100% my own.